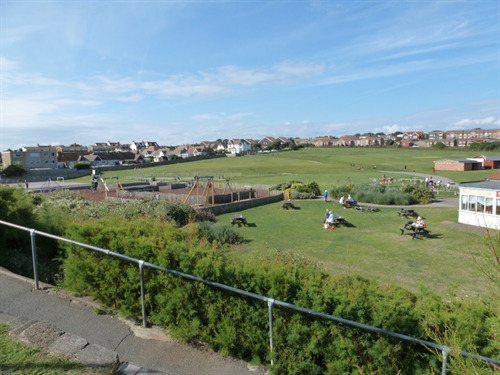 The Salts Recreation Ground is situated just off the seafront and within a few minutes' walk of the town centre and bus/train routes. It is home to Seaford Rugby Football Club, Seaford Cricket Club, Seaford Lifeguards, Seaford Scouts and The Base. Onsite there is the Salts Café, public toilets, tennis courts, a basketball court, outdoor gym and skate park. 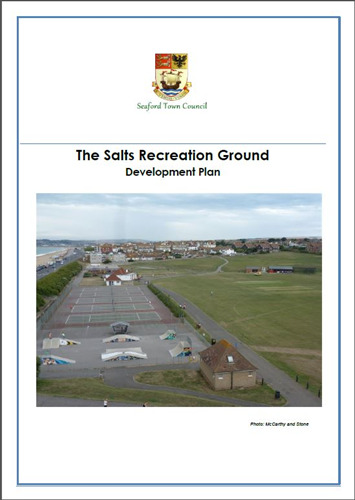 The Salts Development Plan produced by Seaford Town Council was presented to Council for adoption as a policy document in November 2014. 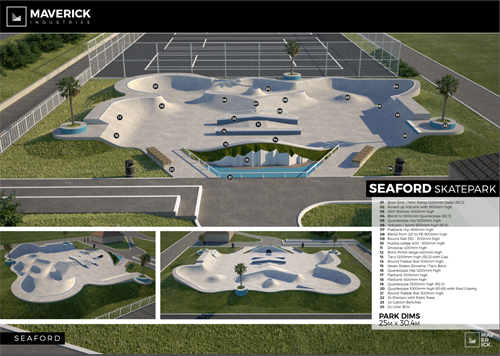 Seaford Town Council has limited funds available for the projects, but has applied for outside grants as well as seeking the maximum amount of planning gain funds held by LDC for Seaford. 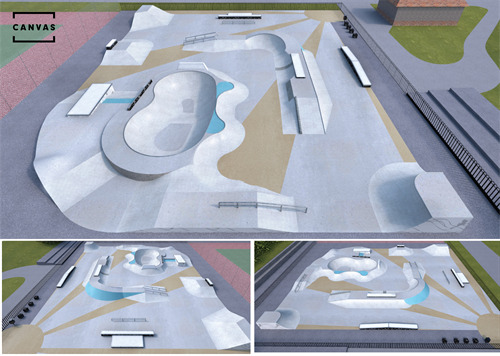 Funds have however recently become available for the development of a brand new skate park, replacing the existing one, to be built at no cost to the taxpayer. Section 106 required a payment to be made from the developers of Martello Place, opposite the station, to be made to the Council, enabling the project to come to fruition. Three designs have been submitted and will be available to view at The Salts Cafe on Saturday 14th October, between 10am and 2pm. 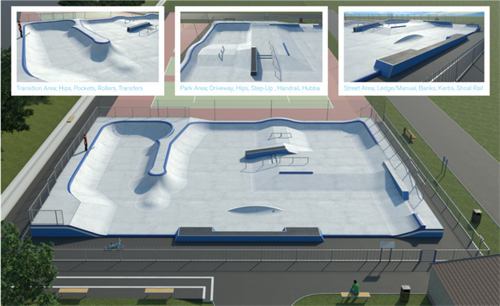 A consultation survey will also be available to enable skate park users and residents to select their favourite one. If you would like to complete an online version of the survey, please click here. 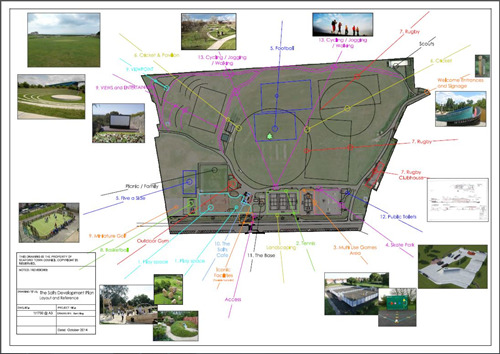 Other elements of the development plan include a variety of landscaping projects such as a footpath/cycle path around the outside of the main fields, as well as picnic areas and viewing areas for events and other entertainment such as outdoor movies.